Global defence contractors are among the largest beneficiaries of Australian government spending. All the big names of military hardware operate here: from Boeing and Raytheon to Lockheed Martin and BAE. Do they donate to political parties? Do they pay much tax in return for billions in taxpayer contracts, contracts which are rarely subject to public scrutiny? Eliot Barham and Michael West crunch the major numbers and take a look at the biggest of them all, BAE Systems. British multinational defence contractor, BAE Systems, has just won an eye-watering $35 billion contract to build a fleet of nine frigates for the Royal Australian Navy. The money in defence is huge but analysis of where that money goes shows foreign taxpayers are often the beneficiaries. 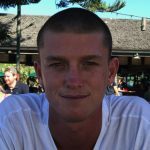 We discovered a host of contracts struck by the Australian government directly with foreign companies, meaning hundreds of millions of dollars in taxes are being lost offshore because the government has failed to insist that defence contracts be struck with the local subsidiaries of multinational weapons manufacturers. 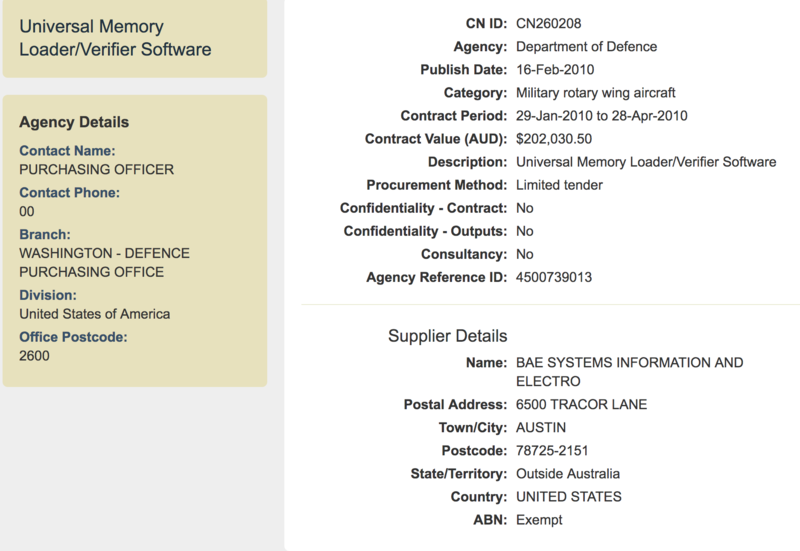 Further, we found Australian taxpayer money being used to finance BAE’s operations in the UK. The money in defence is huge. Since 2016, BAE has won more than $5 billion dollars in government work. According to the Tax Office transparency data, the British contractor recorded total income of $4 billion over the three years to 2016 but paid zero tax. Data analysed by michaelwest.com.au found that in 2015 BAE won $563 million in government work. This increased to $960 million in the following year and, in 2017, BAE was rewarded with more than $1.5 billion in government contracts. Disclosed donations to political parties (AEC data) were remarkably small. Income tax paid, at $335 million (ATO data) was also remarkably small. A host of contracts are struck directly offshore. This table shows the amount spent on military contracts over three years (Austender data) and total revenue and tax payable (Tax Office transparency data). It is not precisely like-for-like as the ATO data spans 2014-2016 while the Austender data is for three years to 2018. It does show however the relative dimensions of taxpayer contracts won against revenue and tax disclosed. BAE Systems has been operating in Australia since 1961 when Sir Robert Menzies was prime minister. Its companies are now the biggest beneficiaries of taxpayer contracts in the defence sector but, interestingly, it has only disclosed political party donations of $5,000. That was 17 years ago, a donation to the Liberal Party in 2001. Political sources said the defence companies were cautious and were likely making the bulk of their political party contributions through third-party consultancies. Military contractors, in general, are not renowned for their ethics. BAE used to sell cluster bombs and has has been criticised by Amnesty International over its role in the illegal bombing of civilians in Yemen. They sold the aircraft to the Saudis which were used to kill civilians in Yemen. Back in 2013, BAE joined with the Australian Manufacturing Workers’ Union in making dire warnings that Victoria, and indeed Australian manufacturing in general, faced a “valley of death” as two of their major defence building contracts came to a close in Williamstown. BAE declined to discuss its financial affairs in detail. A spokesperson, when asked about income tax, responded by claiming the company paid PAYG, GST and FBT. They declined to share their financial statements. GST, PAYG, payroll tax and FBT payments are not corporate income tax, although large companies often lump all sorts of taxes collected and paid into their calculations when questioned about their failure to pay income tax. Further, BAE said it had used tax losses to offset against taxable income. The 2017 annual report for BAE Systems Australia Holdings Limited – which BAE refused to provide but which we obtained from the corporate regulator’s database – shows only $1 billion in revenue last year and nil income tax paid. Auditor KPMG. This was one of 99 BAE entities listed in the Austender database. The discrepancy between sales booked in its holding company accounts and contracts awarded on Austender is further evidence the Department of Defence is sending Australian taxpayer money straight offshore to other BAE entities. Townsville, Australia – June 9, 2016: A RAAF (Royal Australian Air Force FA-18 Hornet performs a display over the Strand. In the holding company accounts, profit before tax is $117 million, and tax expense $31 million, but the cashflow statement shows no tax paid. There were $12 million in R&D incentives and a loan to the ultimate parent company of $241 million (total facility $400 million). Why would BAE in Australia be making a loan to the UK parent company? Many multinationals use “debt-loading”, that is paying interest on loans to their offshore associates to rake profits out of Australia but, in the case of BAE, it appears it is using Australian taxpayer money to finance its operations in the UK. It also has loans going the other way, which means interest goes offshore before tax. 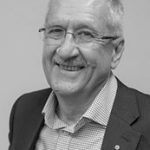 At the time the “Valley of Death” narrative was being expounded, BAE talked of working closely with government in order to secure more jobs for shipbuilders around the country, and by August of that year, former Business Development Manager for BAE, Fred Eske, was appointed by Defence South Australia (SA) as a General Manager for Defence Industry Attraction and Development. 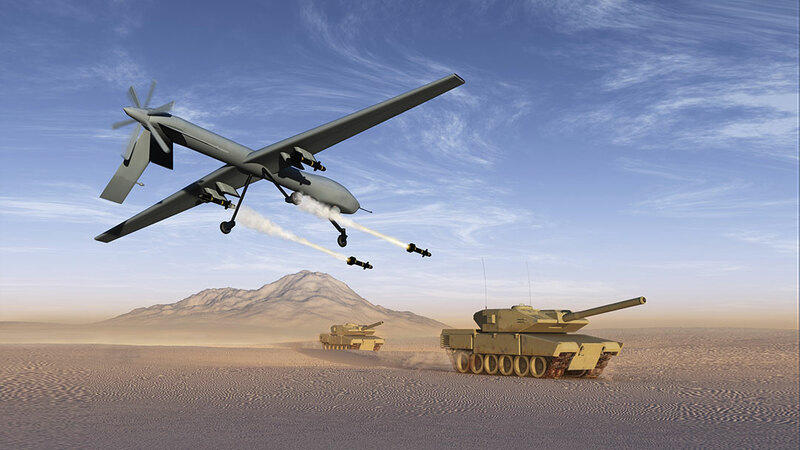 Mr Eske has extensive contacts in the defence industry. He spent 20 years as an engineer in the RAAF before founding of the Hunter Aerospace Corporation. Two months after his appointment, BAE signed a ‘strategic agreement’ with the Australian Defence Science and Technology Organisation (DSTO) which would “see an expansion of collaboration on defence technologies”. And shortly after, the Australian Government brought forward the release of the 2014 Defence White Paper; a document which was influential in shaping BAE’s success in the years to follow. It is also a document which show how closely fused with government are the foreign contractors. This may also further explain why political party donations are low in defence, relative to other sectors. These companies are so close to government, they don’t need to donate to win contracts. The White Paper’s Industry and Innovation policy was clear: allow Defence to strengthen its relationship with Australian industry by letting industry take a “leadership role”. The paper also argued for the creation of a “dedicated defence hub through the Manufacturing Precinct in Adelaide”, importantly also “industry-led”. By December, South Australia’s Jay Weatherill was cutting the ribbon on ‘Australia’s most advanced aerospace components manufacturing facility’ in Edinburgh Parks in South Australia, the home of BAE Systems’ head office. The plant manufactures various components for the Joint Strike Fighter project – this alone being a $300m, 25 year contract to make aircraft worth more than $100 million a pop. 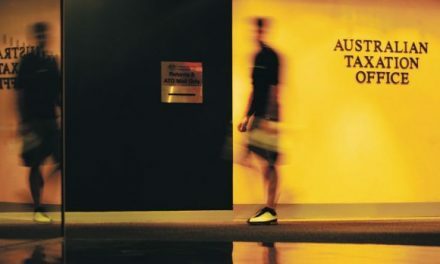 Early the following year, the government announced a parliamentary inquiry, Government Support for Australian Defence Industry Exports, and around the same time the AI Group Defence council – which represents BAE, Boeing, Lockheed Martin and Thales among others – called on the Government to axe 3500 jobs at the Defence Materiel Organisation (DMO). This is the government body which is tasked with equiping and sustaining the Australian Defence Force (ADF). At the time, the Defence Minister was reportedly considering privatising the DMO due to cost blowouts and delays. The industry wanted more of the pie and, when the results of the Inquiry were tabled early the following year, they got what they wanted. While the DMO was never privatised, one of the key findings, also mimicked in the First Principles Review, was that elements of defence industry are fundamentally important to the “operational and materiel support of complex equipment used by Defence”. 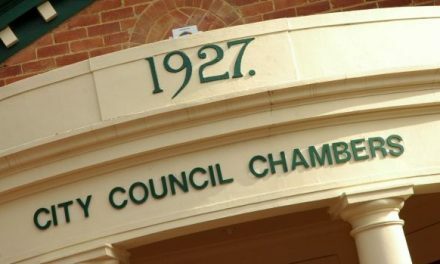 The Australian Strategic Policy Institute (ASPI), a think tank funded by defence contractors, said that meant ensuring “the required elements of industry are there when we need them” and “partnering with industry to grow and sustain the required industrial competence and capacity becomes a consideration in procurement”. In a statement for this story, BAE said it had paid no corporate income tax over the three year timeframe of the Tax Office transparency data due to tax losses built up in prior years. “Losses were carried forward from projects (from earlier years) and there were tax benefits from our investment in research and development projects which offset the company’s tax liability in those years,” said spokesperson Kaye Noske. Since 2016, Raytheon, the world’s largest producer of guided missiles, has won more than $1.5 billion in government contracts. Unlike BAE Systems, data from the Tax Office shows Raytheon did pay some tax in the years prior: $40 million on $134 million of taxable income. Its total income was far higher at $1.5 billion. Bear in mind that most multinational companies minimise the majority of their tax exposure, not by paying a low tax rate, but by racking up large costs and deductions before the taxable income line. French aerospace group Thales won just under $2 billion of contracts in the last three years. They had a total income of $3.5 billion. Thales paid $76 million of tax on the $446 million in declared in taxable income during those years. US aerospace company Boeing managed to pay just $40 million in tax on the $381 million it declared in taxable income over three years. Yet they’ve still managed to procure more than $4 billion in tax-payer funded work in the last three years, according to Austender data. 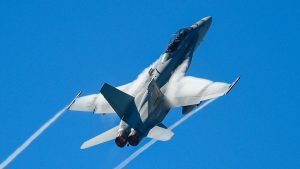 At the Defence industry gala awards night held last week in Canberra, and MCeed by the celebrity Rove McManus, Boeing took out two of the major awards. The co-author of this story Eliot Barham amassed and sorted the various government data with the advice of data-warehousing expert Greg Bean. Barham is a final-year journalism student at UTS and has worked at radio station 2GB. PreviousIf Huawei gets thumbs down, could Turnbull’s pro-China lovefest end up as a Bandaid?